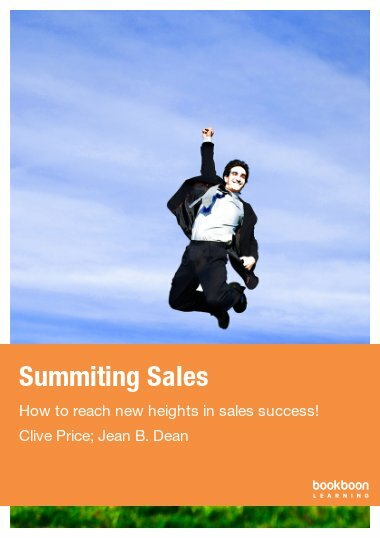 How to reach new heights in sales success! Step-by-step this book will take you to the top of your game and is a vital reference point for everyone involved in selling. To be the very best that you can be, you have to have a game plan. You need to know all the basics and then build on them at each step until you become brilliant in your field. 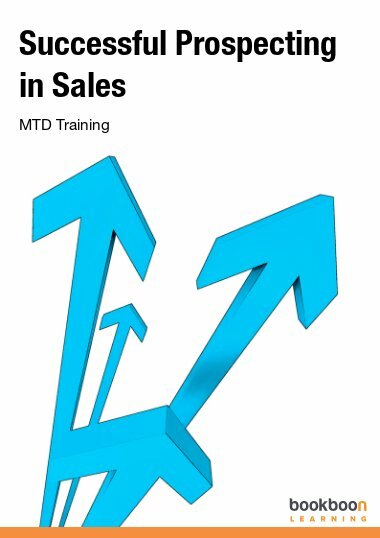 If your field is sales then his book is a comprehensive training guide, which will take you through all the basics and how to build on these at each step throughout the process, making marginal gains wherever possible to give you the edge against all your competitors. You will be taught the psychology of selling and how you can get your prospect to sell to themselves! Learn the art of persuasion and how to turn your prospect on to your offering. You will learn that closing a sale begins at the beginning not the end of the process! Starting at base-camp you will be informed about prospecting then mastering the next steps of qualifying and partnering, taking you halfway to your goal. Next, you will learn about identifying and creating needs for those products and services and finally presenting pointers and summiting, where you’ve reached your goal and made that all important sale. Step-by-step this book will take you to the top of your game and is a vital reference point for everyone involved in selling. Rule 1 – Better before cheaper – Sell the value, not the price. Rule 2 – Revenue before cost – You can’t cut your way to success, but you can sell your way there. Rule 3 – There are no other rules. This research shows that it is mostly about sales. Without sales you have no commercial company. You can have the best product, the best services and the best solutions but without sales there is no company. So, if sales differentiate the top performing companies then all companies need to have an effective and proven Sales Process in place. “The myth behind sales being a ‘born-with’ characteristic should be dumped as the art of selling can be learned,” says Clive Price. Sales Directors think that all they need to do is find born sales people to perfect their team. This is not the case – to be a great sales person, you do not need the gift of gab but a basic system of sales skills. 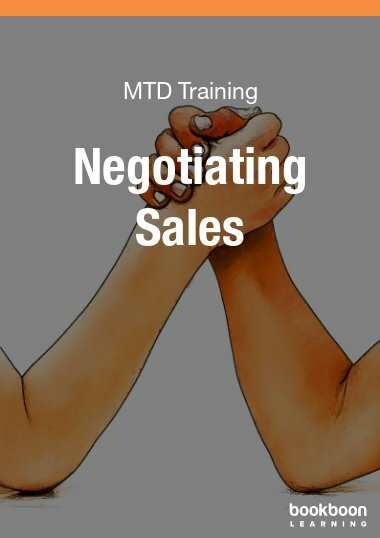 In this book you will learn that GREAT salespeople use a proven and modern sales methodology and you will be taken through each step, so that you can learn how to reach your sales peak for you and your company. All business activity starts with the sale. Your business needs you to get their products or services sold to the customer. Without sales, there would be no business. It makes common sense that any guidance that you can get to increase your sales volumes and profit margins will go a long way towards driving your business success. In order to do this, as an experienced sales professional, you need to make a few fairly simple, smart changes in the way you think and behave while selling. 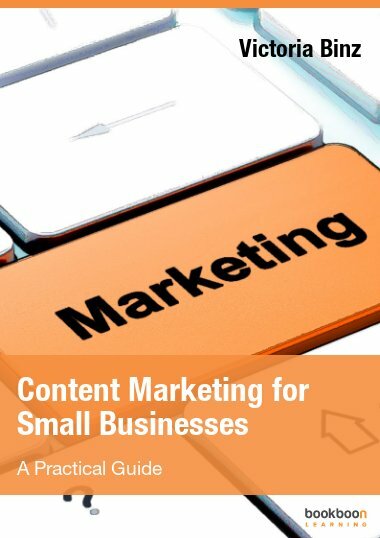 When you read this book you’ll learn a few tricks on how the psychology of selling really works and discover new techniques that you can use right now. What turns a suspect into a prospect? Sales Professionals waste as much as 70% of their time dealing with very nice people who never buy. How to gain the respect and trust of prospects even if you dislike them? How to come to grips with the buyer’s reasons to buy and then match your behaviour to their style? What questions to ask, to get the 10 Yeses that win deals? Why is your competitive differentiator so critical in today’s tough climate? 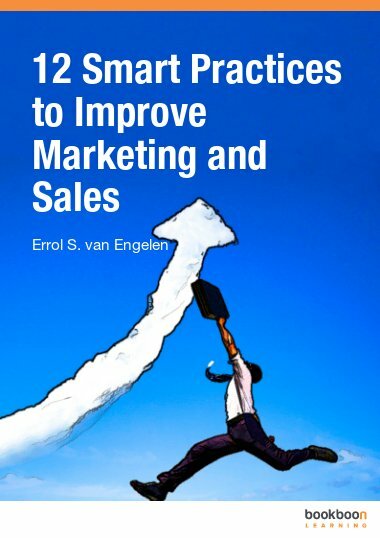 This book is thorough and concise and I have no hesitation in recommending this clear and well-mapped sales approach for people who are serious about successful selling. Logical, practical and useful - sales people who stick to doing what the book teaches will see performance improvement! This technique not only works in sales, but also works in the boardroom where you often need to sway the room to buy into your idea of the future. 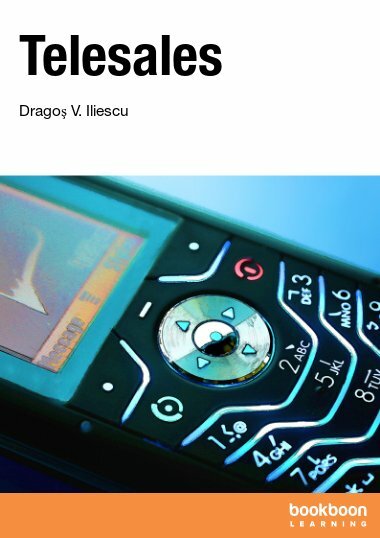 Very insightful, easy to follow and eye-opening selling techniques – absolutely handy sales guide. Most sales books follow the same pattern, but it is rare when you come across a book on sales that takes a new approach. A simple and practical sales guide. A must have if you looking improves sales dramatically. Incredible! I learnt a lot about the types of closes, listening through intelligent probing and building relationships with Prospects and clients. Believe in the fundamentals presented of research, talking to decision makers, probing, presenting and closing well. 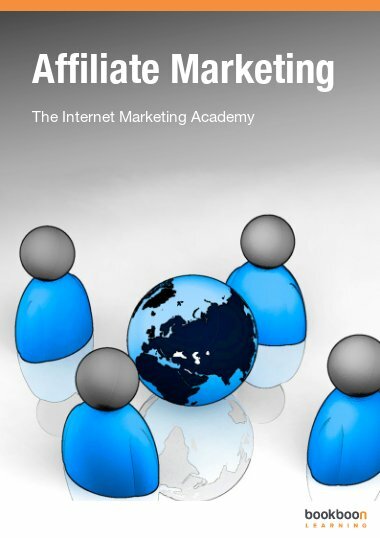 An absolute must for any business wanting to thrive in the present competitive business climate. Selling is my Achilles heel and I found this book easy to read and filled with simple, yet practical, tips. I found the self-evaluation, case studies and real-life examples particularly useful - the 30 hot sales tips at the end of the book are gems! Excellent. Clear explanations of techniques to advance sales. Well written and accessible. Lots of interesting ideas. Well worth the read.